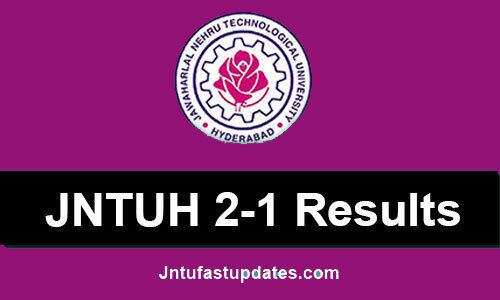 JNTUH 2-1 Results Nov 2018: JNTU Hyderabad B.Tech 2-1 Sem R16, R15, R13, R09 Regular/Supply Exam Results Nov/Dec 2018 are declared at jntuhresults.in. Students can check their jntuh II year I semester results 2018, 2-1 b.tech r16 results below. JNTU Hyderabad Conducted B.Tech 2-1 Semester Regular/Supplementary examinations in the month of November/December 2018. Huge Number of students are wrote these examinations. JNTUH has conducted Regular/Supplementary Exams for R16, R15, R13, R09 & R07 Regulation students. The Following Exams which is conducted by JNTU-HYD in the month of November. The candidates who have appeared for the JNTUH B.Tech 2-1 Semester R16, R15, R13, R09 Regular/Supply Examination, Nov/Dec 2018 can visit the official website provided above to check and download their results. JNTU Hyderabad B.Tech 2-1 Semester Regular/Supplementary Examinations November 2018 Spot Valuation to commence from 15th December 2018. Spot valuation from: 15-12-2018 to 21-12-2018. JNTUH 2-1 Results Nov/Dec 2018 Release Date? JNTUH B.Tech 2-1 Sem Regular/Supply Examination Results Nov/Dec 2018 are announced on 8th February 2019. Students can check their result from below links. How to check the JNTUH B.Tech 2-1 Results 2018-2019? 4) It will open in a new tab. Enter your Hall Ticket Number, DOB & Verification Code in the respective Search Box’s. 3 How to check the JNTUH B.Tech 2-1 Results 2018-2019? sir please please please release the results of the 2-1 sir please please ……………. WHEN IS THE RESULT DATE SIR I HAVE NOT ASKED YOU TO ABOUT KK? when was the 2-1 result release fast.we cant more stop release result headache release result jntuh.